We are leading names in the industry, engaged in manufacturing and supplying an extensive range of Plastic Products. 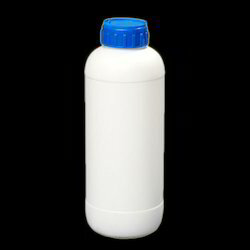 Our product range includes Powder Plastic Bottles, Plastic Dry Syrup Bottles and different others. They are durable in nature and are easy to install. Enriched with vast industrial experience, we offer our clients, wide range of Pesticides EMIDA Bottles that are easy to clean and requires minimum maintenance. These products are highly durable in nature and are performance oriented. We offer these products in different specific sizes and designs and can be customized as per the requirement of our clients. Furthermore, we offer them as per the detailed information of our clients. 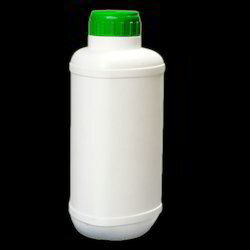 Being the leading names in the industry, we offer our clients an extensive range of Pesticides Triangle Bottles that are acknowledged among the clients for smooth finishing and durable standards. These products have the strong tendency to store the medicines for longer duration thereby maintaining its long shelf life. We offer them with air-tight caps and measuring cup. They are hygienically approved and are Eco-friendly in nature.